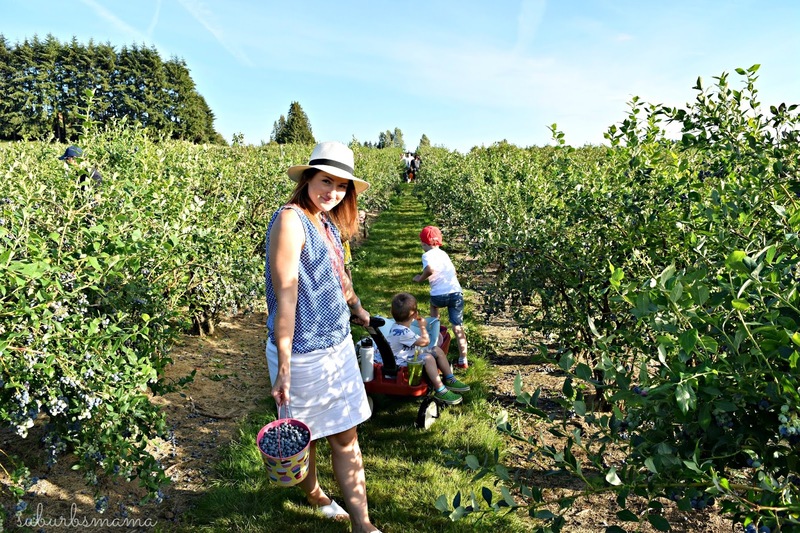 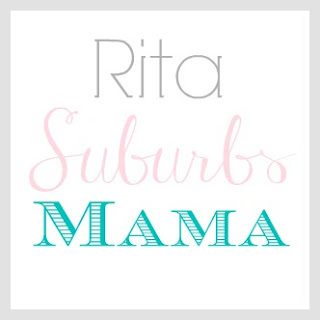 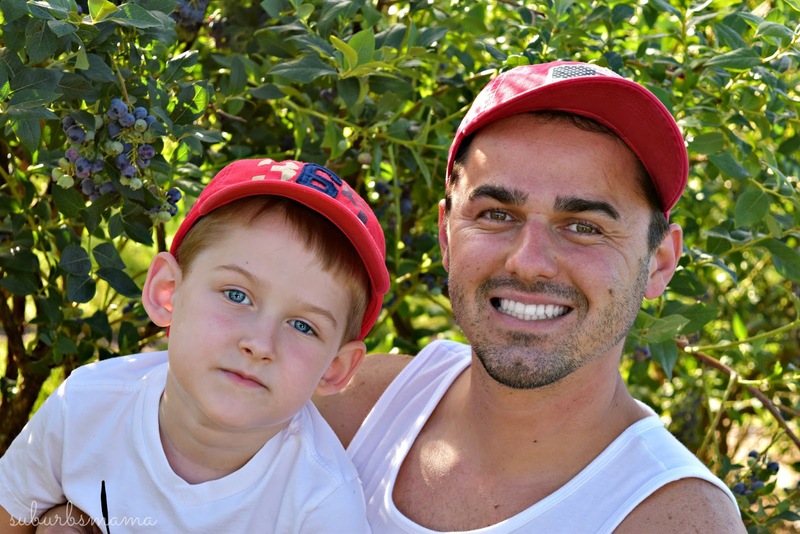 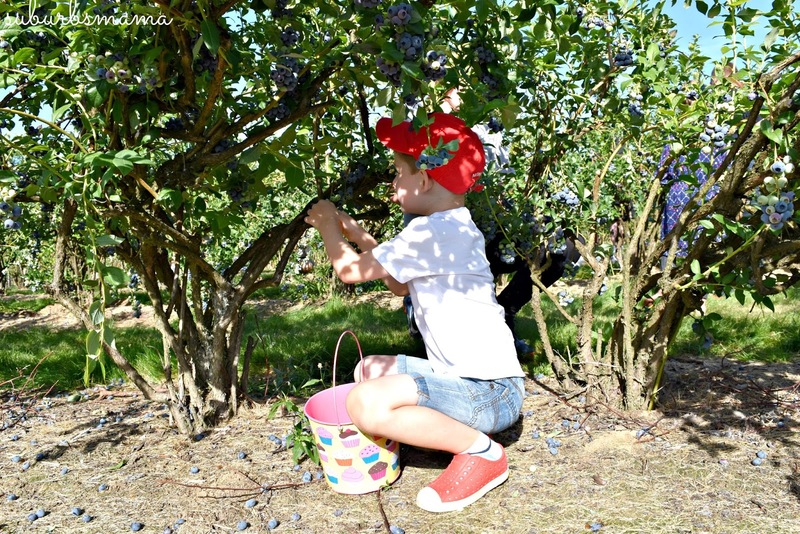 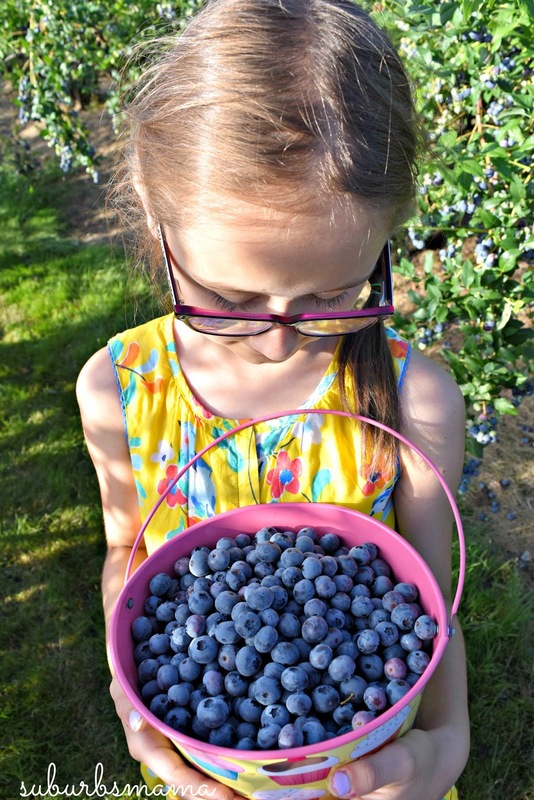 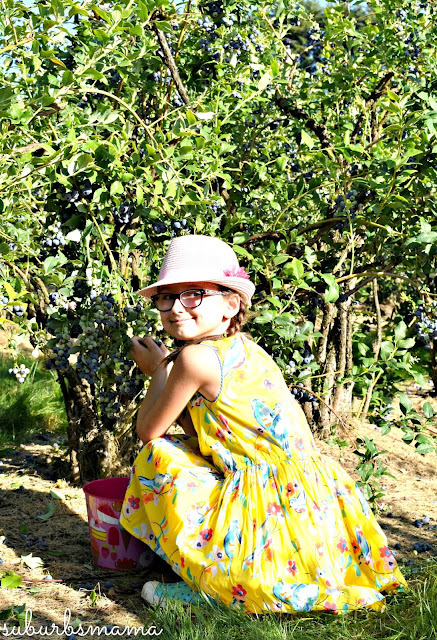 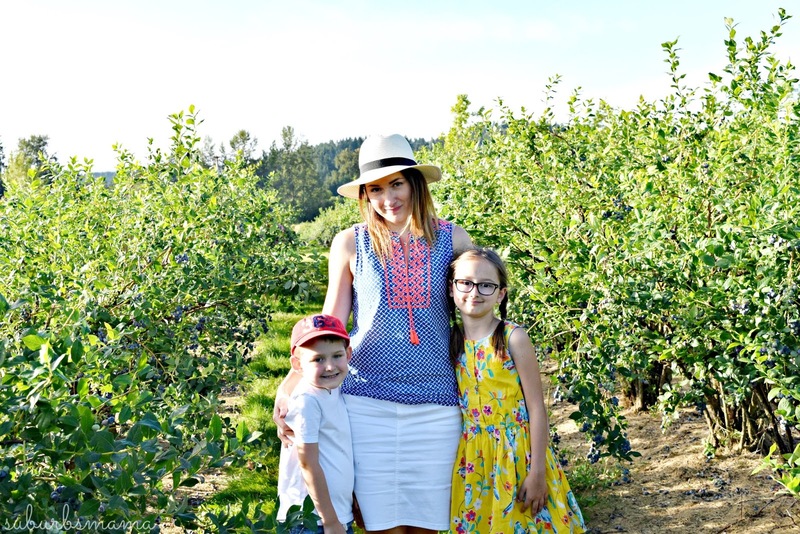 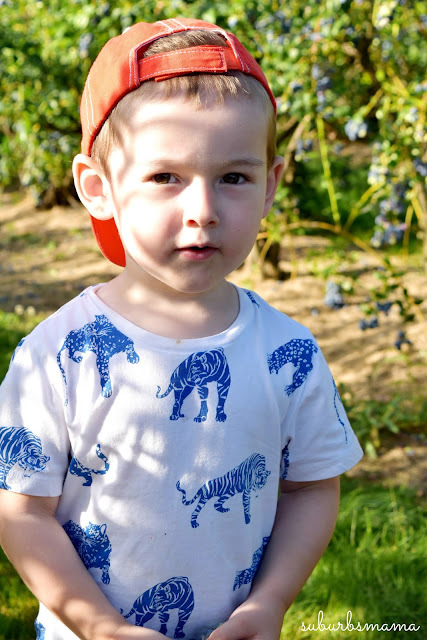 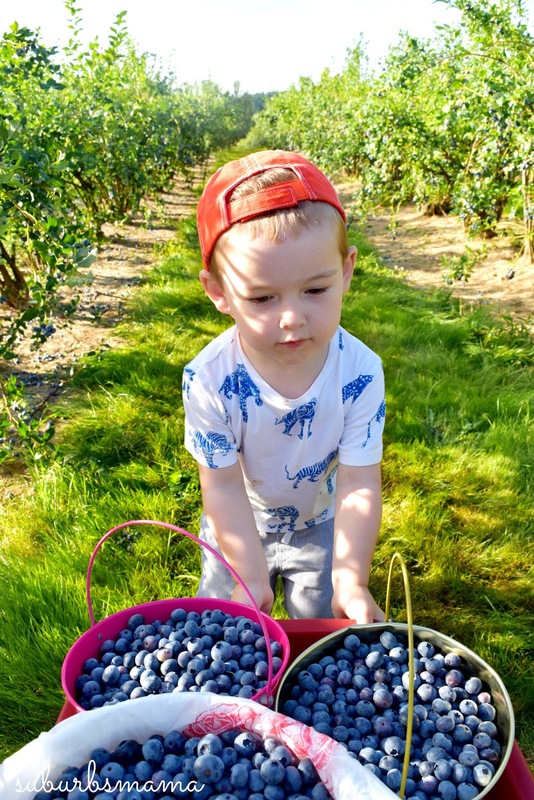 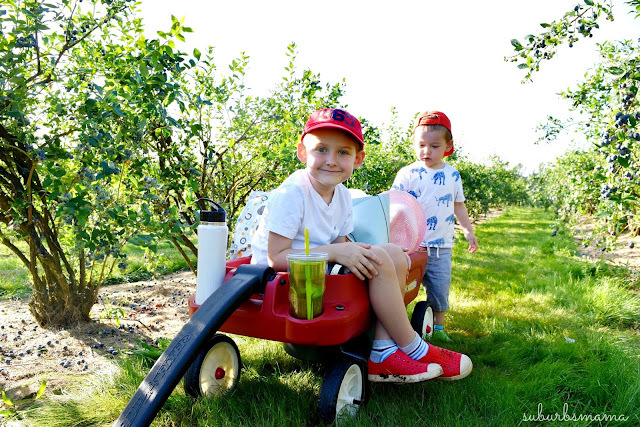 Suburbs Mama: Blueberry picking with the family..
July means summer, and summer means fresh blueberries! 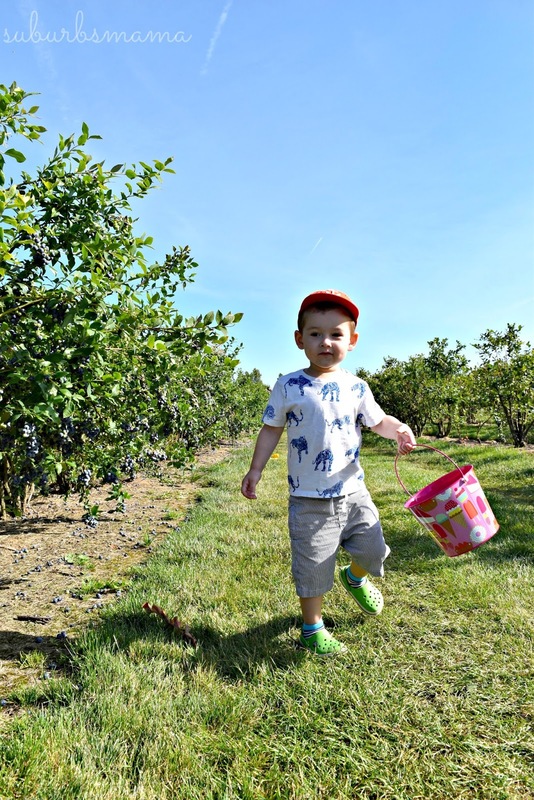 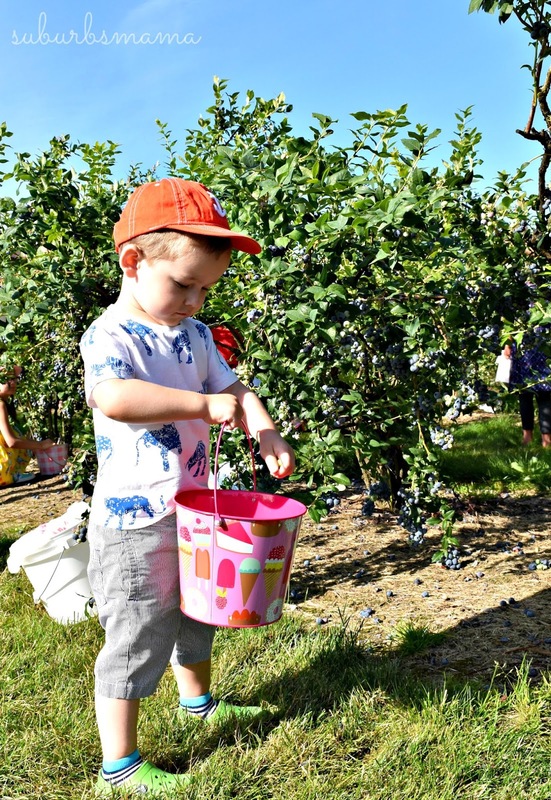 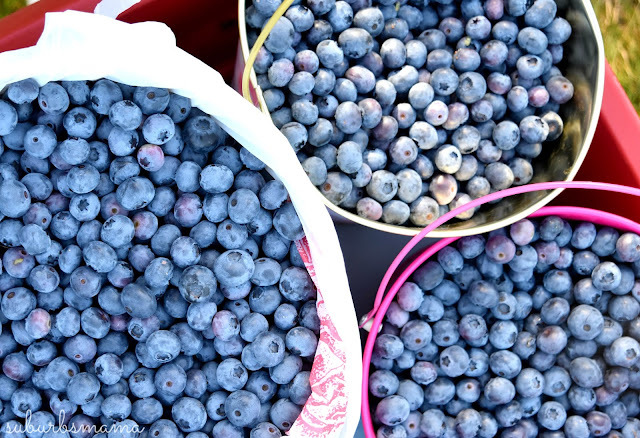 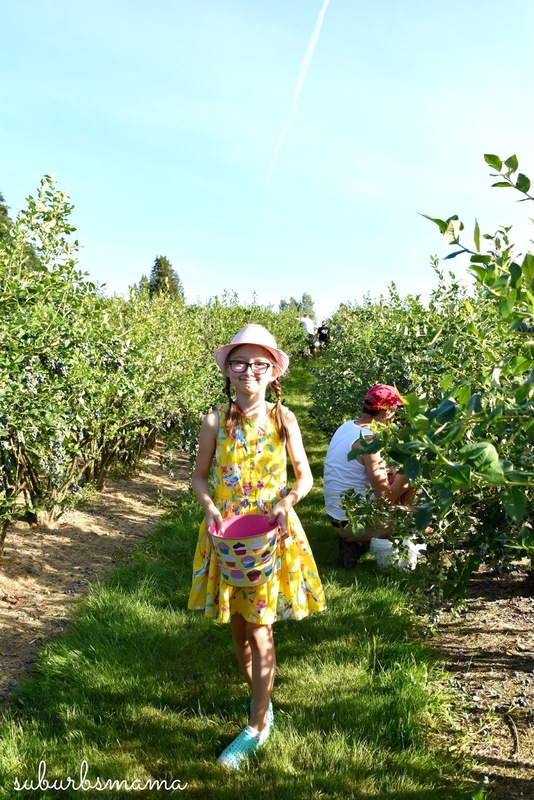 Our local blueberry patch opened for picking about 3 weeks ago, we have yet to go because of our trip, however as soon as we got a chance, we grabbed our wagon, buckets and off course a box of tissues for me (I am on day 5 of this darn cold), and headed to the farm. 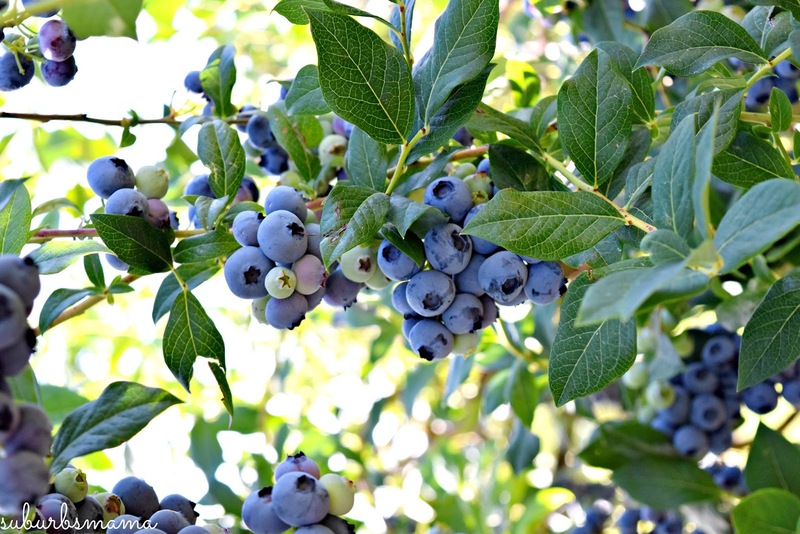 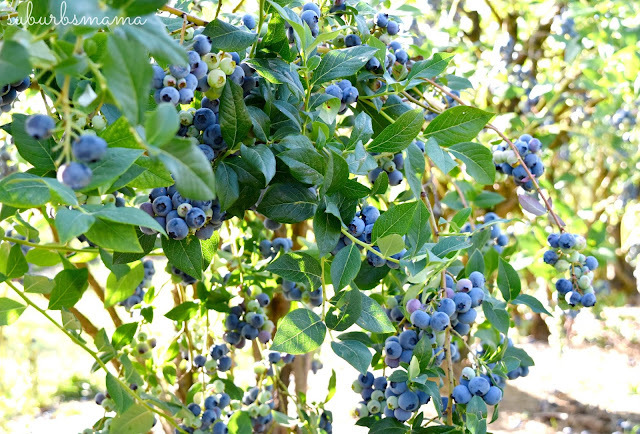 We have been coming to the same farm for 5 years now, I love how tall the blue berry bushes are- they provided much needed shade on hot summer days.